At Anime Expo in Los Angeles this weekend, the Gundam Versus team announced the game will be releasing in North America on September 29, 2017. For those of you who have a bit more patience than myself, this is only three months after the Japanese release on July 6. We can assume we won’t see a Premium G Sound version due to music licensing, but it’s nice to finally get a definitive release date for the Western crowd. Until then, check out the latest addition to the roster, Gundam Virtue! 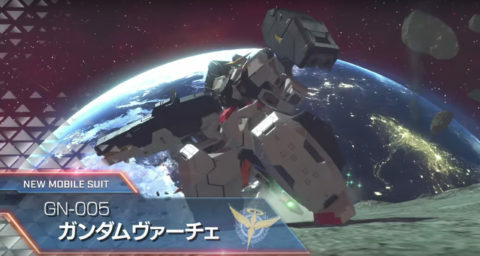 Its last appearance in a VS game was in Gundam VS Gundam Next Plus. And of course, it can cast off its armor and become Gundam Nadleeh! In the Japanese version, it is a DLC unit that will cost 602 yen, but will be free for those that preorder the game. Check out the video below and let us know what you think!